Yahoo Mail is a popular email platform which millions of people rely on. 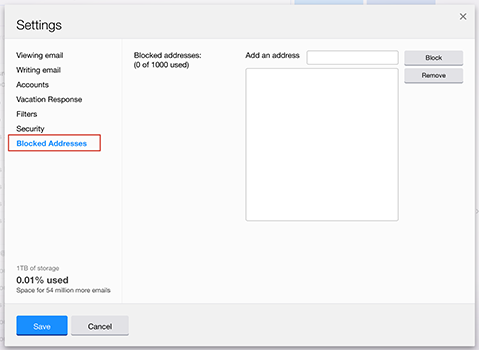 If you’re a Yahoo Mail user and you want to learn how to block emails from unwanted people in Yahoo Mail, you should know that it’s really simple to do. Today, we want to help you master the process, by walking you through it, step by careful step. Once you’ve discovered everything that you’ll need to do in order to ensure that people aren’t able to email you at your Yahoo Mail address, you’ll be empowered. Block everyone that you don’t want to hear from and then enjoy an Inbox which is more to your liking. Yahoo is free to use, so you won’t need to spend any money in order to block people. There are no special apps required and you won’t need to move outside of the email program in order to take care of things. It’s very easy to use Yahoo Mail in general and blocking is no exception. First, you’ll need to log in to Yahoo Mail. It’s impossible to make changes to email accounts without being logged in and this is a good thing in terms of security. So, use the Yahoo Mail sign-in page to add your username and password, and then enter your email account. After you add your login details, you’ll see the word, “mail”. Just click on it in order to open up the account for Yahoo Mail. Once you’re in, it will be time for step two. During this step, you should click on the icon which resembles a small gear. Once you click on the little gear, you’ll see the Settings option. Click on Settings as Step Three. It’s one of several menu options, but it’s really easy to find. After you go into Settings, choose “blocked addresses”. This will be Step Four. Then, during Step Five, add the email address which you wish to block. Afterwards, finish the whole blocking process by performing Step Six. To perform this step, just click on the button named, “Block”. While there are six steps, it’s safe to say that they may be completed in mere minutes. In fact, once you’ve done this a few times, it will probably be possible to do it in seconds. One tip is to copy an email address that you want to block and then paste it in while you’re blocking. This will save a little bit of time. Of course, this is optional. 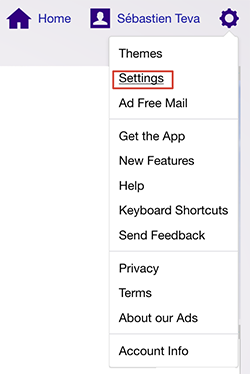 Hopefully, this quick guide has shown you just how easy it is to perform blocking of email addresses within Yahoo Mail. It’s good to know about this process, as we all tend to have certain email addresses that we don’t want messages from. Even if you don’t need to block right now, knowing how to do it will give you the power to take care of blocking in the future, when and if the need arises. If you do need to block, you now know exactly what to do.